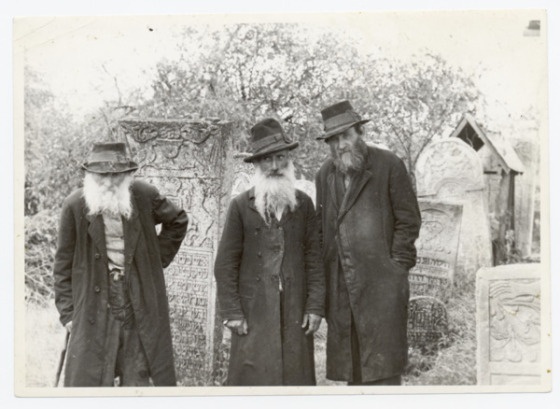 S’iz gekimen di heylike teyg (The Holy Days Have Arrived) is a song that takes place before Rosh-hoshone and Yom-kipper when it is a tradition to visit the departed family at the cemetery. In the cemetery, a voice is heard of a recently deceased woman who died in childbirth, and she sings of her anguish about her new born child and her husband whom she loved. Hob ikh mikh dermont in mane makhshoves. Vus iz ersht nisht lang geshtorbn. Vi iz mayn yinger man? Vi iz mayn pitsele kind? Ver vet im zeygn gebn? Ven gehat hob ikh es [epes?] tsu krign. Fin mayn man, fin mayn libn. Just a short while ago. Where is my young husband? Where is my little child? when I had what I wanted. Of my husband whom I loved. When one thinks about love songs in Yiddish, the vast majority are sung by unmarried girls who dream of the man they love and how wonderful life will be after the wedding. Few are the songs, such as this, in which the woman openly expresses love for her young husband. 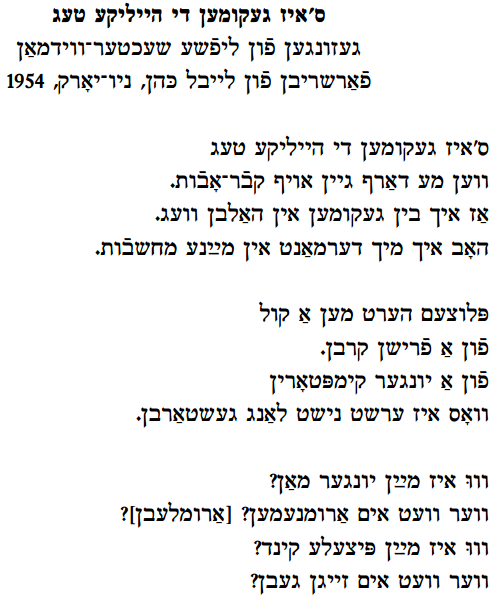 Lifshe Shaechter Widman’s (LSW’s) powerful emotional style matches the words perfectly. In this case, the wife sings of her love from her grave and the song immediately reminds us of another song performed by LSW, Afn beys-olyem, also known as Di shtifmuter and originally penned by Mikhl Gordon. 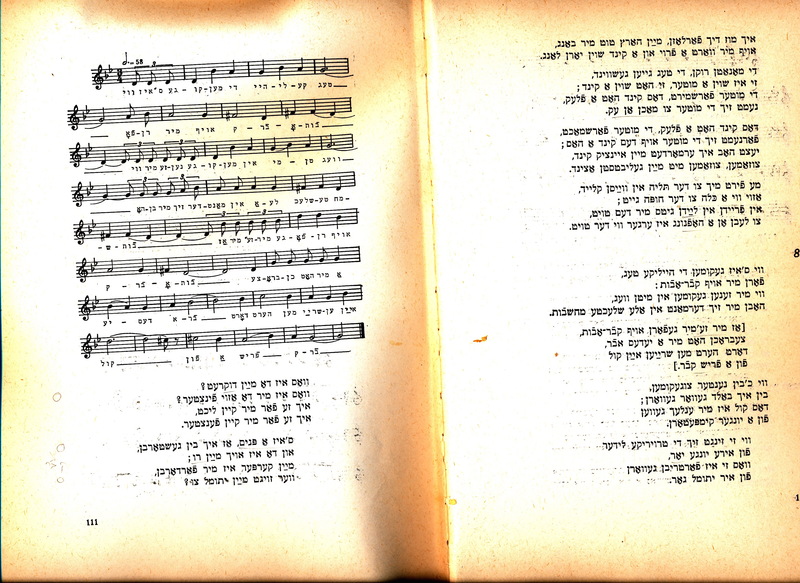 In addition to this field recording of LSW made by Leybl Kahn in the Bronx, 1954, there are two other published versions of S’iz gekimen di heylike teg. One, collected by Shmuel-Zaynvil Pipe in Galica, does indeed take one verse taken from Gordon’s song. 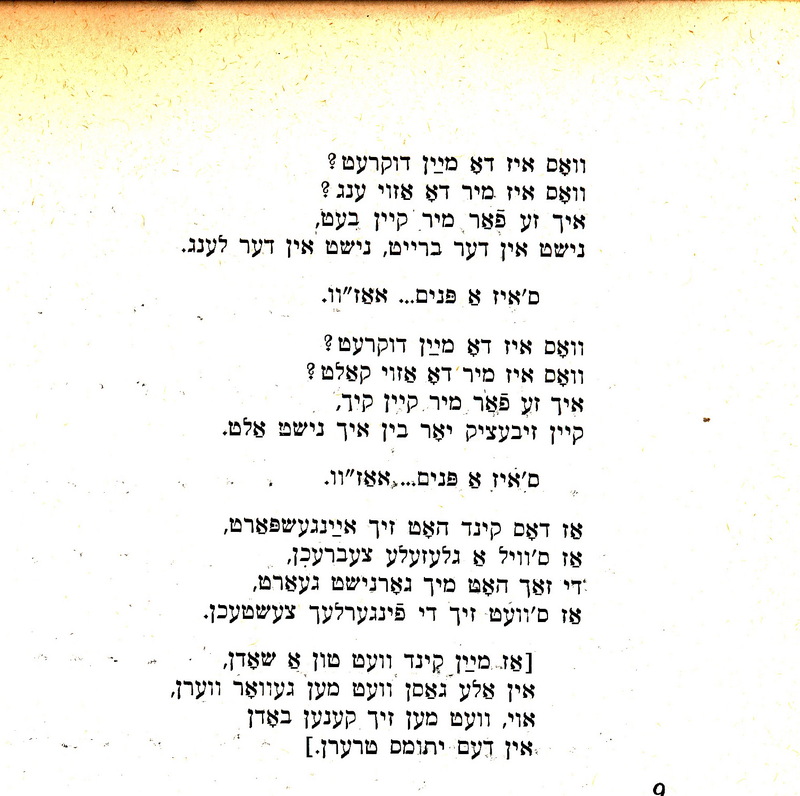 see Dov Noy and Meir Noy, Yidishe folkslider fun galitsye (Tel Aviv, 1971), page 110 – 112. In Pipe’s version the song is strictly an orphan song and has a refrain. 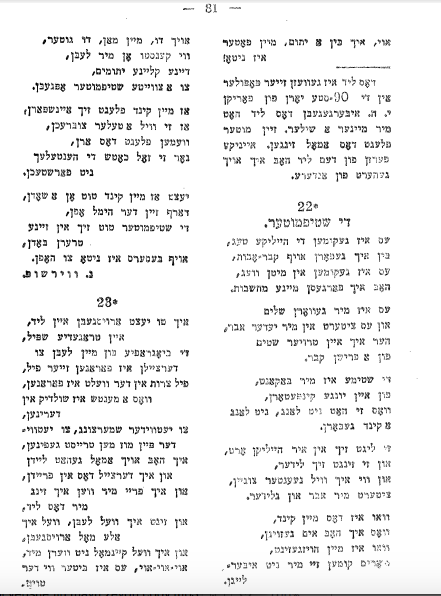 The second version can be found in Shloyme Bastomski’s song collection, Baym kval – folkslider, Vilna, 1923 (page 81, song #22) and he calls it Di shtifmuter, the same title as Gordon’s song. This second version emphasizes the wicked step-mother who will mistreat the child.